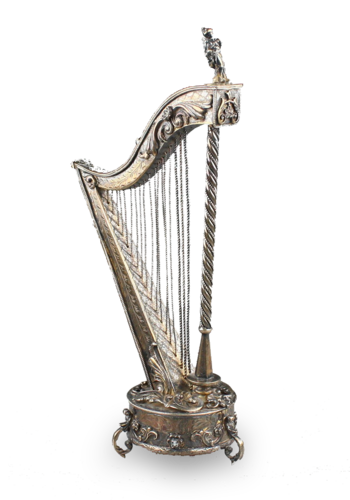 When wound and start/stop pull modelled as flowerhead to underside actuated, a single musical air from Reuge cylinder movement is heard, with captive key-wind motor, single-section comb on cast bedplate. 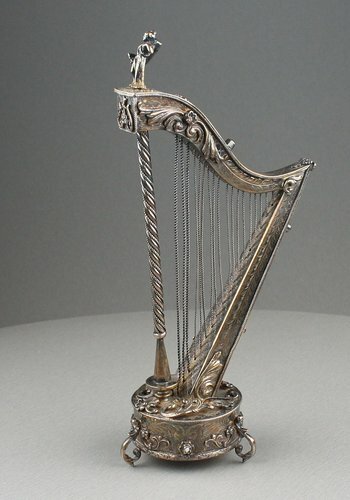 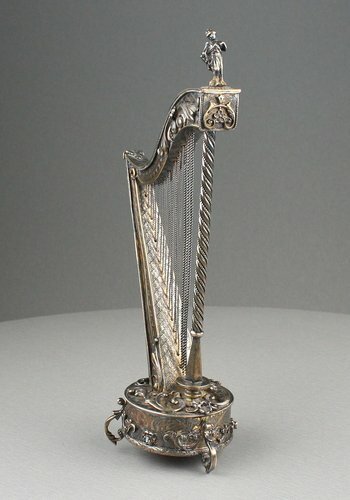 Fitted within silver-gilt harp-form case with draped maiden atop cap-head, thin rope and ribbon-twist support column before 18-strings, whole body with engraved diamond matrix, olive leaves and scroll swag engraved decoration, three plain amethyst mounts, raised scroll ties and flowerheads, circular base with mostly raised mounts including three pearl mounts, open arched supports. 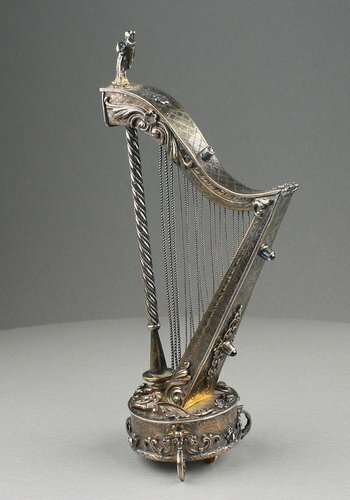 Two differing models of musical harp have been identified, with this amethyst mounted version of very dainty proportions showing off the delicate purple tone against polished and tooled silver for a real special effect. 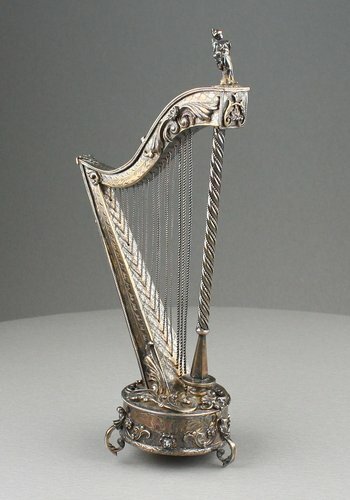 This would not work as well with darker primary colours, underlining the maker's intention of using the correct materials for the right pieces.